Stock-market investors shouldn’t get too used to the dollar rally, Goldman Sachs analysts warned Friday. They expect the U.S. dollar to weaken by 7% over the next 12 months and urged investors to factor that outlook into their equity positions. “Foundational to the forecast is our expectation that global economic growth data will stabilize,” wrote Goldman Sachs strategists led by Cole Hunter, in a note. This may sound somewhat of a contrarian call, as the dollar, measured by the ICE U.S. Dollar Index DXY, -0.48% has gained 4.5% in the year to date. 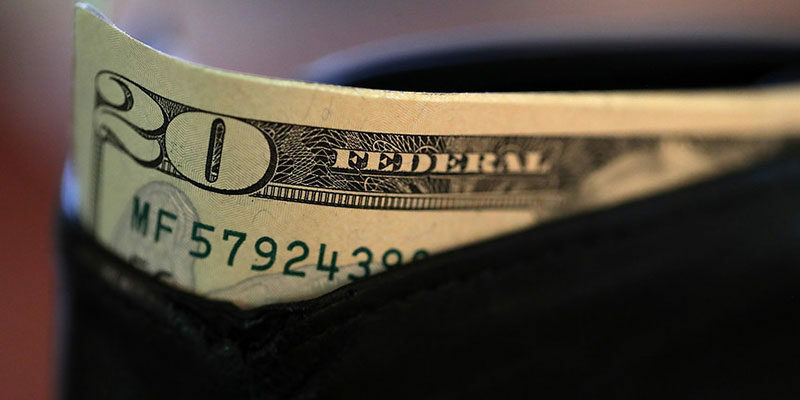 It gathered steam in the second quarter, thanks to supportive U.S. economic data, continued tightening by the Federal Reserve policy that put U.S. interest rates further above their peers, waning global growth, and escalating trade tensions that have weighed on the dollar’s rivals. Market participants are also concerned about the impact a trade war could have on the global outlook. But the dollar’s fundamental advantages could be due to diminish, the Goldman strategists said. There’s reason to believe “the growth differential could narrow: our economists’ global leading current activity indicator measured 4.1% in August compared to 3.7% in June, suggesting a nascent improvement in global economic growth,” they said. And that in turn, often coincides with dollar weakness. Sharp moves in the dollar can impact equities. “From a fundamental perspective, S&P 500 SPX, +0.33% earnings have a negative relationship with changes in the dollar,” the strategists wrote. The S&P has “historically returned 1.7% in months with a sharp dollar move lower versus -0.5% during months with a sharp dollar move higher,” they said. Following the buck’s strong rise in the second quarter, companies began warning about its impact on quarterly results, as many multinationals saw their overseas earnings take a hit as the dollar rose against local currencies. In a strong dollar environment, domestic-oriented sectors, like health care or financials often do well, compared with multinationals in the materials, energy or technology sectors, which are on the other side of the spectrum and would benefit from a weaker buck. That said, Goldman was wrong about the dollar’s direction last year and abandoned its strong dollar “top trade of 2017” in April. The buck was under pressure all of 2017, as its main rival, the euro EURUSD, +0.5274% rallied 14%. The shared eurozone currency has weakened more than 5% so far in 2018.